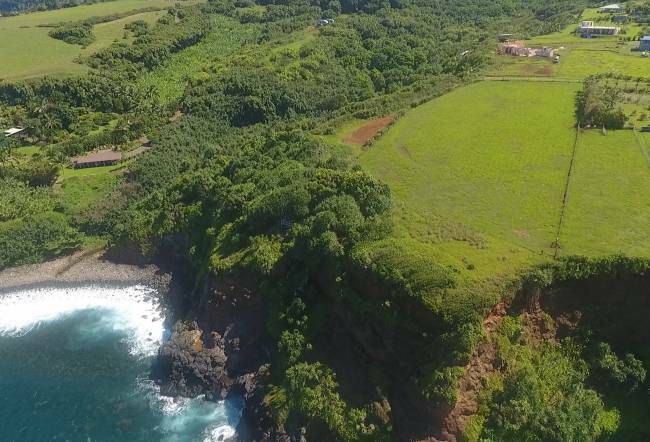 Where can I build a home on Maui’s North Shore on an oceanfront lot with ocean access? Right here at 460 Ho’olawa Road, in the Ho’olawa Point Subdivision. 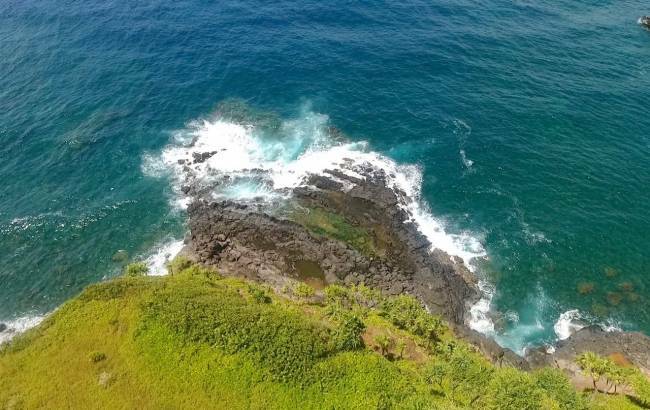 This oceanfront two-acre parcel is ready for a new owner, and ready to start building. With Agricultural zoning, you are able to build two homes and many farm outbuildings. Take a look at what the neighbors have built and get some great ideas. When you see this location with your own eyes, you will want your home to be right here… with the crashing waves below, and the big, blue sky above. This location is completely off the grid, but with well water for all five lots. A photovoltaic system will light your home and provide power even during storms when other parts of the island are without. The trade winds blow here and breathe fresh life into everything. A truly self-sustainable lifestyle can be yours with room for fruit trees and livestock. Don’t forget there’s ocean access along a footpath to the little rocky bay where you can enjoy spectacular scenery and maybe even some surfing waves. In the calm summer months, you can even snorkel and spear fish, and catch something for dinner. Moving to Maui and building a home is a dream for many, but not everyone can pull it off. With everything in place, you could end up with a great forever home and never have to move again. 460 Ho’olawa Rd. could be just that place! If you have questions about the off-grid lifestyle then please ask. In this community, we are all in the same boat and happy to share our experiences.